Finally got tired of my old computer and decided to build my own. It was a little difficult (mostly the CPU Cooler, but I did it! I went all out because I really did not want to wait for the new GPU's and thought this would be good enough to hold me for a few years with minor upgrades. CPU This thing is amazing. I don't think I really put this "under load" exactly because I really only play games. I can play on ultra 1080p with 60+ FPS while streaming without it going over 36° C, no problem! I don't even need to overclock yet. CPU Cooler Now this thing was a pain to install. I know this was my first time building a PC but it took me an hour to figure out how to build it, then 2 more hours trying to install it. The only reason I bought it was because my room is the hottest in my house and heard airflow is best for my situation. It is gigantic (barely fit with my RAM and GPU), but it does its job. Next time I will definitely buy a liquid cooler though. CPU Cooler I got this originally for my GPU because I was going to water cool it with the corsair adapter but I'm stupid. I have the gold edition 980Ti so it's built different and didn't work. So I replaced my old CPU cooler with this. Honestly works the same as the old one just takes up less room. My only problem is that it's the loudest thing in my PC and can't change that. Motherboard Not really sure how to judge a motherboard. It has just enough USB ports for me and the BIOS is very easy to use. Memory I know I did not need to get 3200MHz but I thought why not. It's not too expensive and I like how small it is. It does only go up to 2133MHz, but I don't need it to go any higher. Storage I have never had an SSD before and let me tell you, it is everything I've always wanted! I can not believe how quickly everything loads. Will never get another HDD again! I only bought one storage drive because I only used about 500GB on my last computer. Will probably get another eventually. Video Card Alright now my favorite part. I was planing on getting this but my friend linked me the Golden Edition when it was on sale for MUCH cheaper and decided to get it. I came from a 660 so this is insanely better. 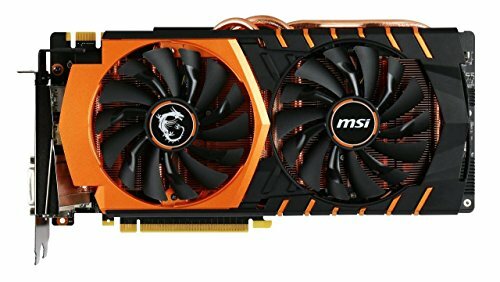 I play most games at 1440p on ultra with 90+ FPS. love it. Case I picked this case because of the size and how quiet it is. I probably spent more time picking out a case than any other part. It was pretty nice building with it. Tons of room on the side panel, removable drive cages/optical drive and more than enough spots to put fans. Going to try to keep this case as long as I can. Power Supply Not much to say about this. I picked 80+ platinum because I wanted to save energy and 750W is perfect for this build. Eco mode is great too! Case Fans I picked these because of the airflow and how quiet they are. So far they work as intended! Samsung Monitor This is not the exact model of my monitor but it's the closest looking. 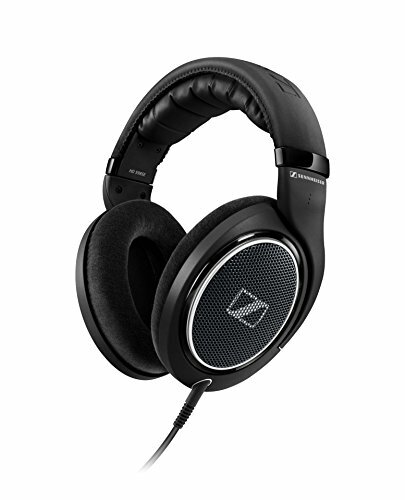 I have the S27C750, cant find it anywhere. It has worked perfectly fine for me for the 3 years i've had it. Would recommend 100% if you could find it anywhere. Dell Monitor Love this thing. Was going to wait for an IPS G-sync monitor but this one was on sale and decided it cant be that big of a difference. Besides I've never used a G-sync monitor so I don't know what I'm missing, yet. Would recommend to anyone if they are sceptical about it. Mixer I wanted to have a good audio a set up and to be able to have multiple channels to control. Works well for me! I didn't need all the channels but you never know. So far I only use a XLR channel and one other channel for my PC sound. Mic Love this microphone! I had a AT2020USB and NO audio interface so it picked up EVERYTHING. I hated it. This one paired with m mixer sounds amazing. Headphones Best headphones I've owned so far. I used Astro A40's for 3 years and loved them, but the Mic stopped working and Eventually started to get tired of how they felt. The 598SE's are so light and sound MUCH better (of course). I can't imagine anything better than these. Mouse I had a G600 for almost 2 years and I felt I needed a new one. 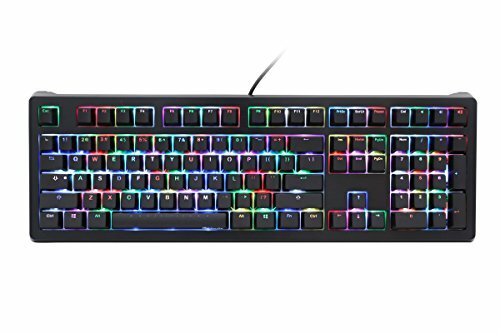 This one is pretty much the same but with 5 different spots for different RGB lighting. I love it! Keyboard I've always wanted a Ducky keyboard and my old one was too big for my desk. Especially with my new mixer. Love my Shine 5 so far. it's the perfect size and the RGB effects are definitely a plus! In conclusion, I enjoyed building my PC. Everything was pretty straight forward and didn't take too long 12 Hours. I didn't think the hardest part would be my CPU Cooler. That thing was a struggle. I will definitely be using a liquid cpu cooler next time. I am looking forward to overclocking and using my PC to its full potential. Super fast and perfect for overclocking. Probably overkill for my build but worth it! Works just as good as ANY other CPU cooler in my honest opinion. It's a good size and does provide extra airflow. My only problem is you can't change the Pump speed and the Pump is the loudest thing in my PC. This was the first SSD I have ever used and I can't believe how much of an upgrade it is from an HDD. Probably getting another one very soon. Wasn't planning on getting this card but my friend linked me it when it was on sale and could not recommend it enough. I believe it is the fastest 980Ti on the market. The fan doesn't start spinning until it is under load. It is orange, not golden but looks great. Perfect case for customization, airflow and being silent. Tons of spots for fans and great cable management on the side panel. My favorite keyboard I've ever owned so far. Love how small it is and the RGB effects are great. The trickiest part is finding out how to customize the lighting exactly. LOVE the RGB customization. 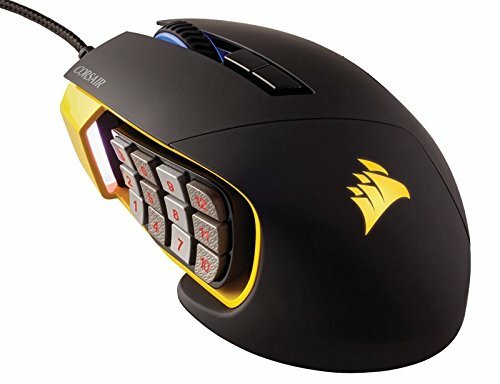 You can change 5 different areas of the mouse to any color. Quality of this headset is amazing. Best headset for the price in my honest opinion. My only problem is my ears hurt after a while 6 hours. It could just be my ears though. I believe the ram runs allways at the lower speed by default. You need to enter the bios and increase the ram speed. Good to know. I'll check it out right now. thank you! thats the same way you OC your ram. Worked! put it up to 2700 easily. Thank you guys! 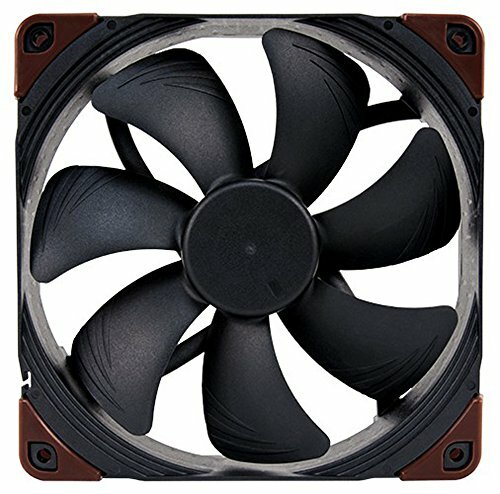 how is the airflow of the case? did you add some additional fans to the case?If so, could you tell me where you located them? I had these when I first installed everything. Congrats on the build. You could have saved some money by getting a cheaper cpu (a 6660k for example). Your monitor really isn't that good for the price, you could have gotten a 144Hz 1080p BenQ monitor for around $280. If you are looking to get more storage, I suggest getting a mechanical drive as they are really cheap. All in all, it is great build but these are the additions I would do if I was building this. Cheers! Thank you! Sorry. I should have put this in the description but I've had this monitor for almost 3 years now. 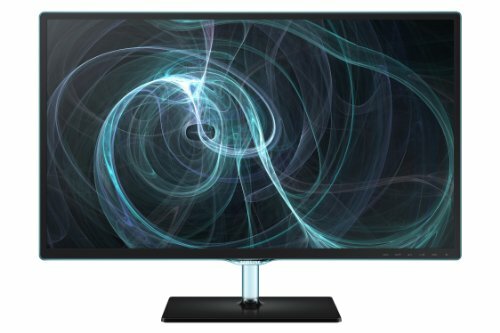 I plan on getting a 1440p 144Hz in a few months. That's true I could get a cheaper HDD just for extra storage. Thank you for all the suggestions! No problem dude. Good luck! 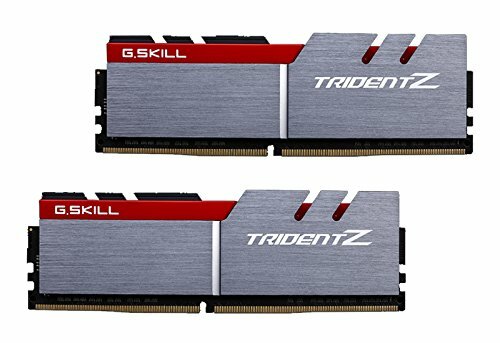 Why does the RAM run at 2133 MHz? The mobo should support 3200 MHz. I chose the Cryorig H5 Ultimate because of its reviews and price. I had issues with installation, about 45 mins to install. I was expecting dramatic improvements over my Thermaltake SpinQ. : ( Less than 6-8 degree difference from an over 4-5 year old design. I will also go with water cooling as it cleans up the inside of the case dramatically. Yes some air coolers are extremely big. Mine doesn't cool too well either, my case fans do a lot of work. I think your cpu cooler is fixed the wrong way. Should be facing the opposite direction. Now it's blowing hot air into the case, not out of it. Hence problems with case cooling. it was blowing air out. my only problem was how big it is. I switched it for the H1110i now and it works great! Thank you! I'll put more up by tonight. I have the pictures up now!